Upon receiving your credit card statement, you’ll need to arrange payment for your outstanding bill. You can choose to pay the minimum amount, your whole bill, or any other amount. We suggest to always pay more than minimum. Online banking: You can log into the bank that you have your account with and if it is the same bank that has issued your credit card, it’s even easier. Your credit card account should be listed under Credit Cards and you will have the option to make a payment there. If you the card issuer is a different bank, you’ll need to do an Interbank Transfer online. Just make sure you key in the correct credit card details. You may want to cancel your credit card(s) at some point, and you may have various reasons for doing so. Perhaps you own multiple cards, one of which has limited benefits and you want to cancel it. Maybe the charges and fees are too high and you have found a credit card that offers lower fees. Or perhaps you have once spiralled into debt and now that you are finally able to pay off all your outstanding dues, you want to avoid the temptation of it happening again. Clear off any outstanding balance unpaid on the card: Before you begin the cancellation process, you must clear off all your outstanding balance on the card. A debt does not go away simply because you intend on cancelling your card. You must repay all that you have spent on the credit card first. Redeem all your accumulated reward points or air miles: Ensure that you have utilised and redeemed all your reward points or air miles. Once you cancel, there’s no way of getting this back so don’t let it go to waste. Contact your bank to request cancellation: Each bank will have its own set of processes to cancel the credit card. Once they have advised the steps or documentation required from you, you can get the cancellation underway. Write an official letter to the bank: We suggest doing so to protect yourself in the event that any dispute charges may arise after you cancelled your credit card. It’s just an added precautionary measure but is not necessary. In the letter, ensure you have your full name, IC number, credit card number, credit card type, issued date and expiry date. State your reason for cancelling the credit card and include a line to clearly state the date you wish for the card to be cancelled or terminated, which is usually the date of your request. 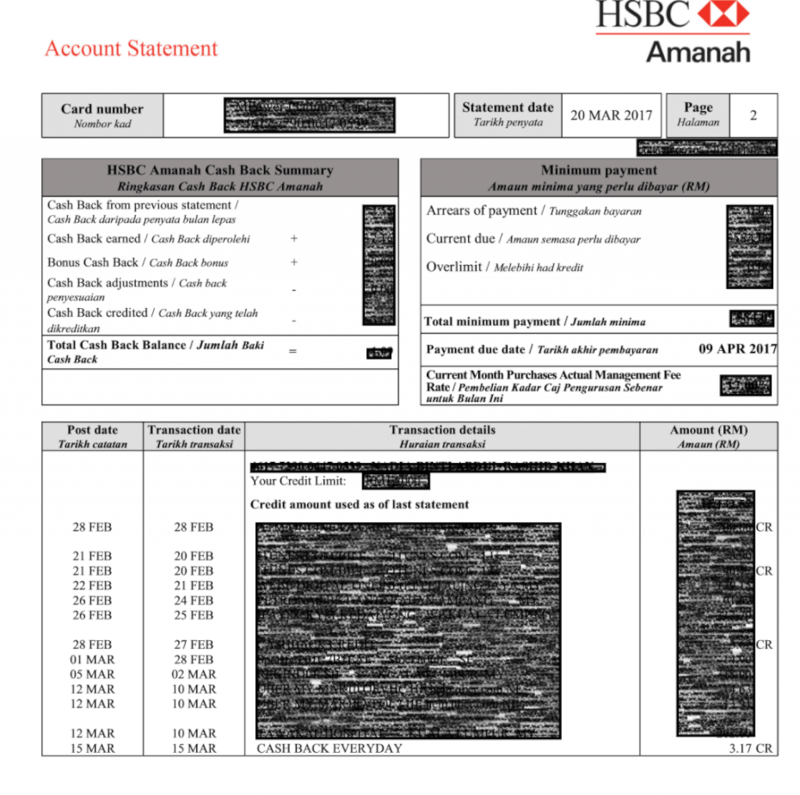 We suggest to make a copy of this letter and have it stamped by the bank to acknowledge receipt. Keep a copy of the stamped letter for yourself as proof that you have cancelled your credit card. You can even include receipt of payments to further prove that you have cleared your credit card balance before cancellation. Follow up on the status of your cancellation regularly. Once cancelled, cut the card into two and dispose of it. There may be instances when you would need to check your credit card balance, perhaps before swiping on a large purchase or just before you travel abroad to ensure you have emergency funds (if needed). Call the bank’s customer service hotline to enquire. They can do a quick check on their system once you have passed the verification process. Log in to your bank account online. While some may not show you available balance, it will show the total amount spent to date and you can make an estimation from there. Some banks, such as Citibank, Standard Chartered and CIMB Bank to name a few, offer an SMS service to check available credit balance. For example, it may be as simple as typing “CHECK BAL” and sending it to the provider’s number. Be sure to check with your bank for exact instructions and if they offer this service. As a principal cardholder, you will receive a monthly statement from your issuing bank. This could either be in the form of a printed statement to your mailing address, or an e-statement to your e-mail address. If you have a supplementary card, your statement will include both the principal and supplementary transactions for the month. Here are key components of your credit card statement. Statement date: Date of the previous month transactions. For example, if the statement date is 20 March 2017, it is then a review of your past transactions from 21 February 2017 to 20 March 2017. It includes all transactions between your last statement date to the current statement date. Minimum payment: This is the minimum amount you need to pay on your outstanding balance. You may choose to pay only this amount, but you cannot pay anything less. We always suggest paying more than your minimum amount to avoid incurring high-interest charges and to also ensure you clear off your debt quicker. Payment due date: The date your payment is due which is the expiry date of a twenty-day period from the Statement Date. 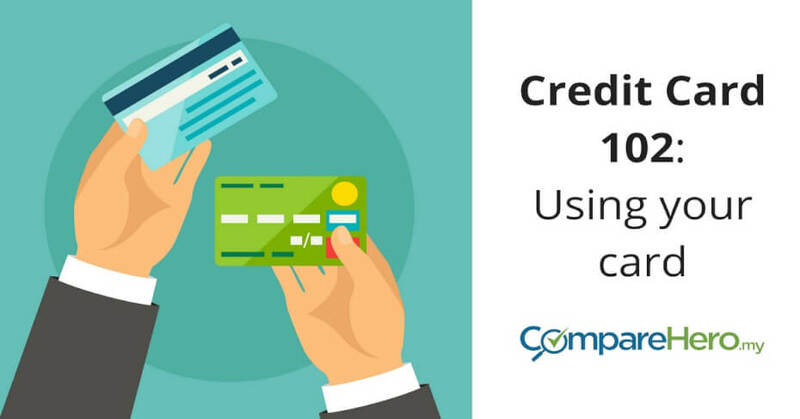 Credit Limit: The total amount you have available to spend on your credit card that has been offered to you by the bank. You can choose to pay off this whole amount, which would be best. Statement balance: The total amount you have remaining to pay on your credit card up to that Statement date. Overlimit: If you have exceeded your credit limit, this is the amount you have spent over the limit. Transaction date: The date of your purchase. Transaction amount: The amount spent for each transaction. Any transaction amount marked with a CR is money that has been paid into your accounts such as repayments, cashback or refunds. Credit cards come in various types, each with its own features and benefits to serve the different needs of consumers and different income levels. The annual fee is a maintenance fee charged by providers of the credit card. But why pay for this when you have the option of applying for a credit card with no annual fee? This amounts to savings every year and is great for those who are getting their first credit card. You will still have all the features and benefits that come with the credit card, however, you just won’t have to pay the annual fee. Air miles cards reward you with miles for every RM1 you spend locally and overseas. You don’t have to spend on travel-related items or air tickets to earn miles; spending at restaurants, retail, or online shopping counts as long as you charge it to your air miles card. With enough miles saved up, you can redeem them for air tickets from the card’s partner airlines, or use them to upgrade to business class for free. It’s the perfect card for frequent travellers as you will also enjoy added perks like access to airport lounges, free travel insurance, and discounts on hotels and dining overseas. The conversion rate of RM into air miles differs from bank to bank, be sure to review this when choosing the best air mile credit card for you. The range is RM0.30 per 1 air mile to RM12.50 per 1 air mile. 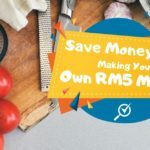 Cashback credit cards are the most popular type of cards in Malaysia and for good reason – it gives you a portion of your money back based on a cashback rate. The bank transfers the money you spend on your card into cash rebates which are returned to you usually at the end of your statement cycle. In really simple terms, if your credit card offers you a cashback of 5% and your monthly spend was RM100, you would receive RM5 in cashback and your purchases would amount to only RM95. Most cashback cards offer cash rebates on specific categories, including petrol, groceries, online shopping or auto billing. Be sure that the card that you’re applying for, gives you cashback in the category where most of your spending goes to. Each bank has its own cashback rate such as Standard Chartered’s JustOne card at 15% cashback or HSBC’s Amanah MPower card at 8%. On average, the cashback ranges from 0.2% to 15%. Be sure to review the cashback rate when choosing the best cashback credit card for you. If you prefer to receive reward points and be part of a loyalty programme through which you can redeem your points for gifts, a rewards credit card is for you. You earn rewards for every RM you spend on your credit card. 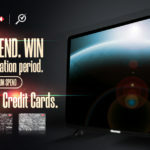 These reward points can be redeemed at a later date for any item on the bank’s reward catalogue which includes IT gadgets, household appliances and items, and more. Each bank has its own rewards programme and redemption rate, so be sure to review this before deciding on a card that best suits your needs. On average, you gain at least 1 reward point per RM1 spend up to 10 reward points per RM1 spend. Want the convenience of owning a credit card and its privileges while still adhering to the Islamic faith? Credit cards designed in accordance with Shariah compliance is your solution. An Islamic credit card – also known as credit card-i in Malaysia – offers a viable option for Muslims to have the convenience of a credit card while keeping true to their faith. It’s also an alternative option for non-Muslims as you don’t necessarily have to be Muslim to have an Islamic credit card. For non-Muslims who prefer the concept of Islamic banking, an Islamic credit card would give them an option aside from the conventional credit card. An Islamic credit card functions similarly to a conventional credit card but with some slight differences in the offered features. What makes a credit card Islamic and what are its benefits? Shariah-compliant: Islamic credit cards need to be Shariah compliant and free from any activities that are deemed as unlawful in Islam. The main differences between Islamic credit cards and conventional credit cards are the prohibition of gharar and riba. Gharar is overcharging, while riba is interest. 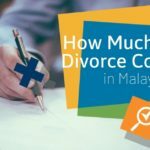 There are no compound charges as overcharging is also prohibited under Shariah law. An Islamic credit card would also have a filtering system to ensure that the credit card will only be utilised for halal transactions It simply means that an Islamic credit card cannot be used to purchase alcohol, gambling or for other activities and purchases that are not permissible in Islam. In the event that the card is used for such purposes, the card issuer will not allow the transaction to go through. 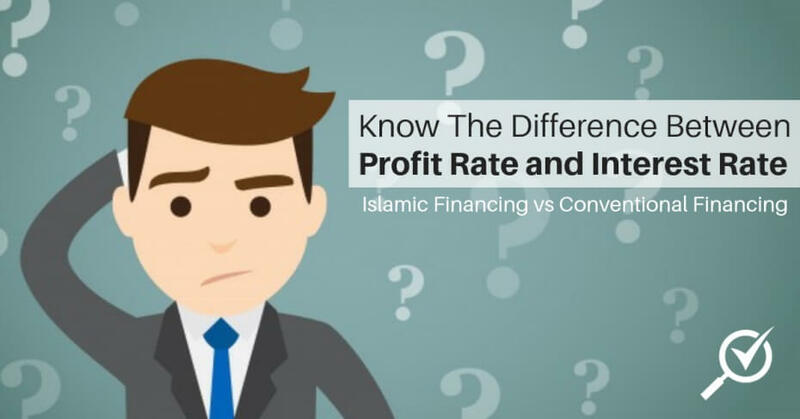 No interest rates: Any interest or riba is strictly prohibited under the Shariah law, therefore the service provided by Islamic credit cards cannot involve any interest. 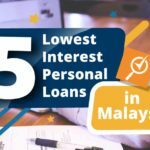 It should also be noted that the prohibition of interest works both ways, which means a Muslim cannot pay for interest and cannot receive interest. Therefore, what Islamic banks do is provide Islamic credit cards by charging for their service, which is known as the ‘profit charge’, and only charged if there is an outstanding amount that is not paid within the grace period. The profit charge is usually calculated on a daily basis at 13.5% to 18% per annum. 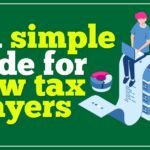 The profit charge is based on a tiered system, which means if you’d like to enjoy a lower rate for your outstanding balance, you’ll have to make sure you are consistent with your repayments. This is because missing a payment for your outstanding balance will cause the banks to increase your profit rate. Cardholders generally need to make a minimum monthly repayment of 5% on their credit card bills (or a minimum of RM50 – depending on the bank) by the due date of each month. 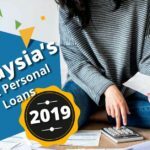 Failure to make the minimum monthly repayment will not only make the profit rate charged on your outstanding balance to rise to a higher tier, you will also be charged a late payment penalty of 1% (or a minimum of RM10 – depending on the bank). Added benefits: Credit cards often come with perks and privileges, and the same goes for an Islamic credit card. An Islamic credit card usually offers takaful coverage, and some also offer benevolence expenses. It means that in the event of the cardholder’s passing, Islamic banks that offer benevolence expenses will pay the premium to cover some or the entire outstanding balance of the deceased cardholder. Aside from that, Muslims will also have the added convenience of paying their Zakat with an Islamic credit card. Premium credit cards are the cream of the crop. There are various premium cards open for public application, but there are also exclusive clubs that are on an invite-only basis. These cards offer exclusive benefits and privileges often for the VIPs or those of the elite crowd. This includes benefits like a private concierge, access to first class lounges when you travel, complimentary green fees at some of the world’s best golf courses and of course, dining deals at fancy hotels and restaurants. 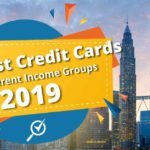 These cards usually come with a high annual fee of over RM800 to RM1,000 and would require you to have a minimum annual income of at least RM200,000. Banks also offer credit cards designed specifically for business use. These cards complement daily business needs while providing extra savings on business transactions or purchases to help your business grow. 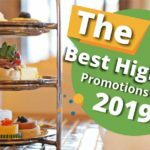 These cards usually offer a higher credit limit, added benefits for business travel and hotel, and preferred rates for cash withdrawals and foreign exchange. These cards will help meet the financial needs of small to medium enterprises. Yes, there are credit cards available in the market that have been designed with the ladies in mind. These are specifically UOB Lady’s Mastercard and Bank Rakyat Kad Muslimah. The UOB Lady’s Mastercard comes in three varieties – the Classic, Platinum, and Solitaire – with improved benefits in 2017 and a new rose motif card face by acclaimed designer Vivienne Tam. With LuxePay, that means you can now buy those pair of TOD’s shoes or Chanel bag without forking out a huge lump sum payment. For example, if you buy those TOD’s shoes at RM2,000, you will only need to pay RM167 per month for the next 12 months. You get your new pair of shoes and you don’t have to feel overburdened. This credit card is the first ever Shariah-compliant card designed for women in Malaysia. 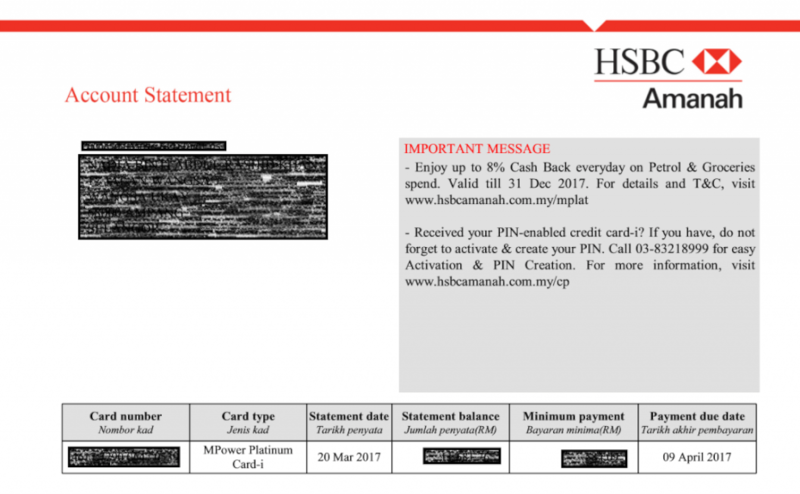 This card comes loaded with benefits and requires a minimum monthly income of RM2,000 per month. It’s a great credit card for those looking to own their first credit card as it also comes with zero annual fees. We love that it also comes with the Easy Payment Plan option for greater financial flexibility. 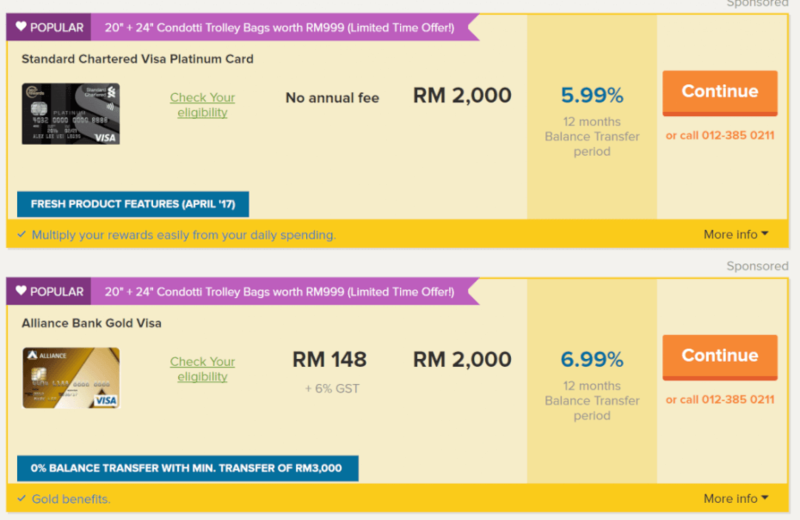 It applies to any transaction above RM1,000 across a duration of up to 24-months. And there are also no additional charges when you spend overseas. A balance transfer facility involves transferring your current outstanding credit card debt to a new credit card which offers either a very low or even 0% interest rate. The idea is for you to consolidate all of your credit card debt into one credit card that offers you a much lower interest rate. Your payments will then go directly to the principal amount which you owe instead of you having to pay for more interest on top of the money you owe. Balance transfers are usually offered over a time frame between 6, 9, 12 or 36 months for repayments. However, when choosing a longer time frame, such as 36 months, you would not get the 0% interest rate, but the interest rate will still be comparatively lower than the original interest rates on your previous credit card. Before you get excited there are a few important things you need to take note of so you don’t mess up the chances of clearing off your credit card debt. Know the details: First up, make sure you’re aware of the details entailed. For example, a card may say they offer 0% for a balance transfer but the fine print then states that for the first 6 months you get to enjoy 0% and then for the subsequent 6 months you will actually be charged 0.6% interest. So you need to know you will not get 0% interest rate on your transfer for a whole year with some cards, and definitely read all the fine print. Don’t make late payments: Next, you need to make sure you don’t make late payments because the charges would be exorbitant! That’s not the only bad thing to happen when you make late payments, as your credit card issuers could also revoke the promotional low-interest rate on your balance transfer card if you fail to clear your debt during the allocated time. You will then end up paying higher late payment interest which usually is calculated based on the 18% interest rate. Know the fees involved: There are also charges involved when you opt for a balance transfer such as upfront fees and balance transfer fees. Certain cards will also stipulate a minimum transfer for specific repayment periods. The time period and amount may also dictate if you do or do not get 0% interest rate. You should also know that the 0% interest rate is only for the amount transferred. Additionally, the 0% interest promotional rate is only for your transferred balances. As for the new purchases you make using the card, you will still be paying interest on it, so make sure you don’t swipe your card on your shopping spree thinking it will be 0% interest rate. Maximum cap per transaction: Lastly, there is also a maximum cap per transaction depending on your credit card issuer along with the amount of balance transfer amount. This means that some credit card issuers will allow you to transfer a balance from up to three other banks at one time, but a different bank may only allow transfers from two banks. So do take note that total amount may differ between credit card issuers. Balance transfers can help you to clear off your debt at a low or even 0% interest rate but this is of course if you make sure you stay on top of your payments and be diligent with your payments. Credit cards offer easy financing options which allow you to make large purchases in affordable payment plans also known as the Easy Payment Plan (EPP). Instalment payment plans or EPP are actually the same things. Essentially it is a feature which gives you the flexibility to use your credit card to make a payment for a substantial amount then repay it in instalments within a certain period. The duration for the instalments will depend on the financial institutions or credit card issuers. However, it usually ranges from 3 months to 24 months. Instalment payments are particularly useful for larger purchases such as electrical items and furniture. However, there are certain things you need to know to take advantage of this feature. Make sure it is a 0% interest payment plan: In order to take advantage of an instalment payment plan, make sure it offers you a zero percent interest rate. Depending on your credit card issuer as well as the participating merchants, sometimes there may be a one-off payment or other fees involved when you use this feature. Make sure you shop at participating merchants: Before you run off to the store to make that big purchase you have been eyeing, make sure to check if the store is on the list of participating shops for your credit card’s instalment payment plan. Most instalment payment plans are only limited to participating merchants, which means usage of instalment payment plans is more limited, unlike your credit card which is accepted at most places. Understand the terms and conditions: Similar to other purchases made with your credit card, you will have to pay for the instalments on time, otherwise, there will be consequences. For example, if you miss your instalment payment, the 0% interest rate may be retracted without notice and you will be charged with normal interest rates which could range between 12- 18% of the entire outstanding balance until you pay it all off. Therefore, in order to optimise this feature, you must be disciplined and not miss any payments. If you miss any payment it may result in you paying a lot more because of the penalty and revoked 0% interest. Aside from that, some banks will allow you to opt to pay the 5% minimum amount instead of the agreed monthly instalments. But it is important for you to know that If you pursue this option you will still be charged with interest on the outstanding amount. Welcome gifts and promotions that come with signing up for credit cards can give you so much value in return. But we don’t advise choosing a credit card on the welcome gift alone. There are other factors to consider such as the terms and fine print that is snuck into these welcome offers. For starters, there may be a minimum spend requirement within the first few months of card approval, payment of the full annual fee upfront, or even a deadline for when you need to sign-up for the credit card and have it approved. Also, some banks only offer welcome gifts to new customers, so if you have an existing product with them, you may not be eligible. Banks are not the only ones to give out welcome gifts. 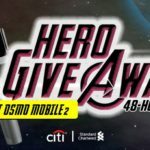 Financial comparison sites like CompareHero.my also provide exclusive offerings upon activation of your credit card or approval of your personal loan. These are only exclusive to applications that are made through CompareHero.my and have been approved by the banks. For credit cards, you will need to activate your card in order to receive the welcome offer. The offer will be listed in a banner that runs across such as the image below.